Animal testing regulations vary from one country to the next. The use of animals to test cosmetic ingredients is about to be banned completely in the European Union. One of the biggest cosmetic companies in the world is located in France. The company has protested the ban. The ban will not affect companies that manufacture drugs. Some cosmetic ingredients are also considered drugs. Examples include some of the anti-wrinkle preparations. Each batch of Botox is still tested extensively on animals. Botox is a de-activated form of botulism toxin. There have been instances in the US where the injections were found to contain the live virus. People have ended up in the hospital as a result. The accidental injections were caused by cosmetic surgeons and day spas that wanted to save money. They bought their Botox on the black market. The tubes were meant for research facilities. So, now you have two more reasons to reject the idea of getting Botox. It doesn’t work that well anyway. It costs a lot and the effects are temporary. Animal testing would not be necessary if cosmetic companies would choose safe ingredients. The company in France is one of the oldest and worst when it comes to the number of toxic chemicals included in their products. When the Environmental Working Group rates their products, they usually score at least 7 out of 10 for highly hazardous. We don’t mention company names here, but if you are interested in learning which company still believes strongly that testing cosmetic ingredients on animals is necessary, you can find the story in the August 19, 2003 issue of the Guardian. 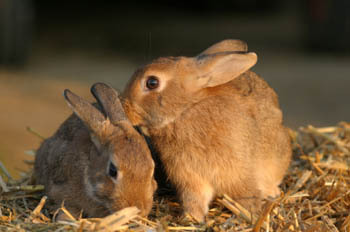 The story is titled “Secret French move to block animal testing ban”. Other than avoiding that company, there are other things you can do. You can buy creams that contain only safe and natural ingredients. You can even buy anti-wrinkle products that are free of toxic chemicals. Things that people normally eat do not need to be tested for safety. Because they are safe enough to eat, they can be tested for effectiveness on human volunteers. Companies are not required to conduct pre-release tests for safety or effectiveness, unless the product contains a drug. The up and coming anti-aging ingredients are called nutraceuticals. They are nutrients that provide health benefits to the human body, either on the inside, the outside or both. If the thought of animal testing makes you sick, you can rely on companies that have signed the Compact for Safe Cosmetics, a creation of the Environmental Working Group. The Group has been working for years to make consumers aware of the health hazards present in supposedly “safe” cosmetics. In truth, torturing and killing animals did nothing to protect the human population from hazardous ingredients. When ingredients were found to cause eye, skin or mucus membrane irritation, the companies still used them. Banning animal testing is a good thing. To protect your own health, you can shop for natural skincare products. They are safe, effective and never tested on animals, because no safety tests are needed.